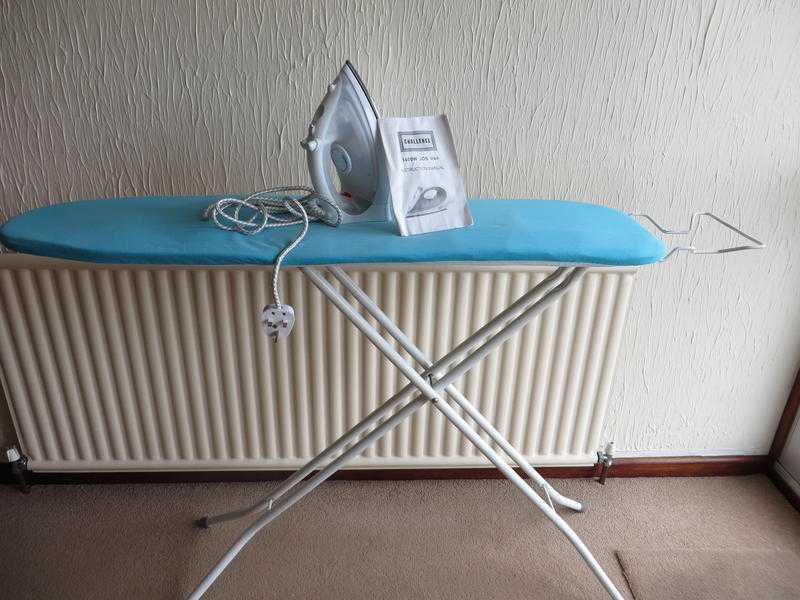 Home › South West › For Sale › Appliances › Ironing Board and Iron- Steam. Ironing Board and Iron- Steam. Ironing Board and Steam Iron, Metal frame Ironing board with Iron rest, removable washable cover in Blue. Board folds away flat when not in use. Steam Iron adjustable temperature, Stainless Steel sole.